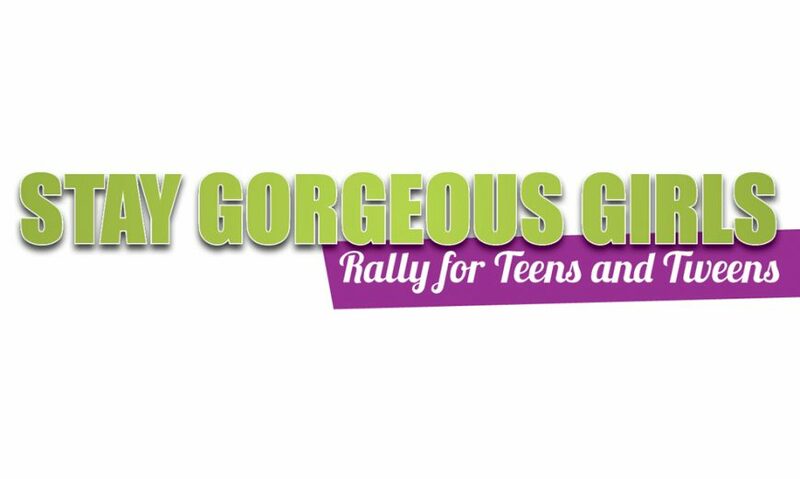 We are very happy to be helping Jireh Gerry and her Stay Gorgeous Girls movement. As part of ummhumm | creative studio’s policy to pay it forward, we are helping Jireh by way of her mother and SGG Director and Manager, Dr Charlotte Gerry. Dr Gerry owns and operates Smile Designs, a premier dentistry in Jacksonville, FL. We have completed 10 EDDM® mailers for Dr Gerry and have become familiar with Jireh and her cause. 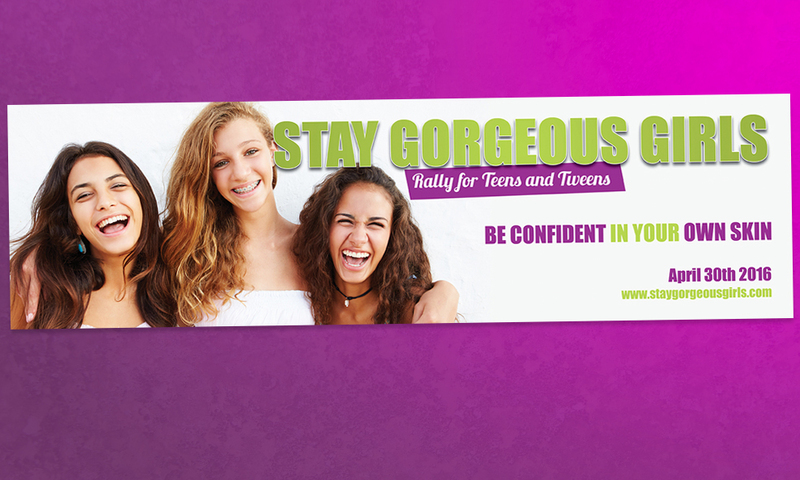 We’ve created a postcard and accompanying billboard for 3 Stay Gorgeous Girls conferences to date. She wanted the design to convey a magazine style and be attractive to young women ages 9-17. The conferences include age appropriate confidence building classes and guess speakers to address mainstream issues. There are games and activities to help build self-confidence, make up classes and a fashion show. There are also Essay Contests with cash awards. 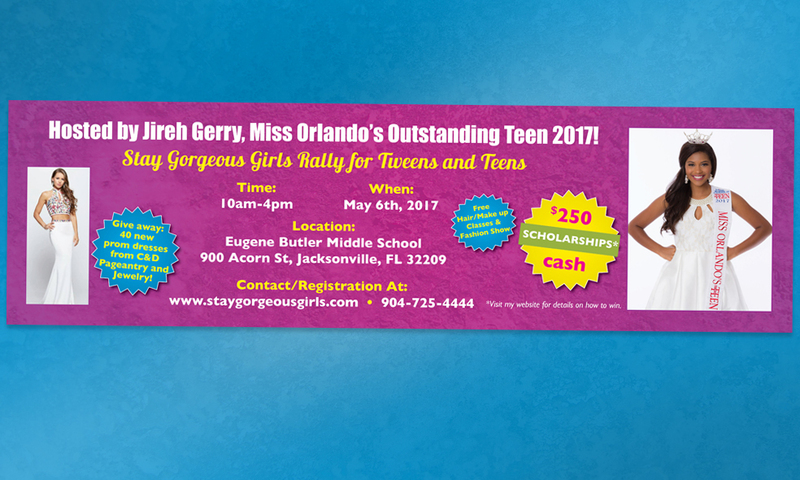 We wish Jireh and her cause the best of luck as they help young women stay gorgeous by uplifting their self-esteem and confidence through her events and positive message. Be sure to check out Jireh’s video, too. Change is positive, but in order to fix the problem you need to see the problem as a problem. Have you ever been bullied? Ever been self-conscious? Have you ever felt insecure or not confident? My website is designed to let you know that you are special and one of a kind. You can fight through anything you are going through. Confidence is the best accessory any girl can wear. Fight and be Strong. If you aren’t going through anything that’s awesome my website is for you to. You can save a life! You can post positive comments on Instagram, Facebook, and Twitter. Post at least 3 positive comments and you can receive a Stay Gorgeous bracelet. Don’t let girls fight alone. If you have confidence to fight through it you have the confidence to help someone fight through it. I created my website Stay Gorgeous Girls to inspire young girls come to the realization that they are beautiful just the way they were made! That they can and will be ale to accomplish the impossible, with confidence.